The wine enthusiast on your list will be delighted with this trio of Harry & David™ Southern Oregon wines. 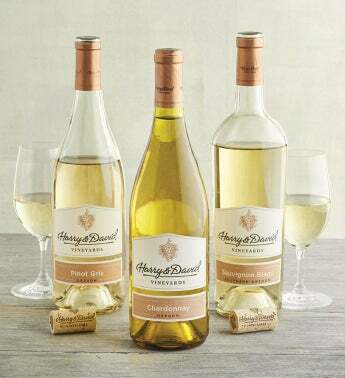 This gift includes crisp, light Pinot Gris; medium-bodied Chardonnay; and refreshing Sauvignon Blanc. Order a trio for yourself and hold a wine tasting to explore the complex variations of these delicious white wines.